Audit the public debt of Puerto Rico, NOW! We are requesting the audit of Puerto Rico’s fiscal debt. An audit is the evaluation and assessment of the accumulation of debt, including ascertaining the legality and appropriateness of the decisions and processes that created the level of public indebtedness. • To understand how we got here. • To determine who is responsible for what happened and to prevent this from happening again. on to citizens that in the end YOU will pay for. By signing this petition, you will ask the Governor, the Treasury Secretary, and other public officials to disburse the necessary funds and resources to the Commission for the Comprehensive Audit of the Public Credit that was created by Law 97 of 2015. Without an audit of the debt, people in Puerto Rico are blindly paying back money without an understanding of how it was accumulated or spent. We demand that all public officials in Puerto Rico give their unconditional support for an AUDITING OF THE DEBT. Help us by sharing this petition! Remembers to sign the Petition, if you didn't do it. 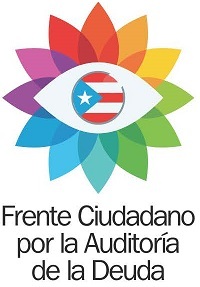 © 2019 Audit the public debt of Puerto Rico, NOW!